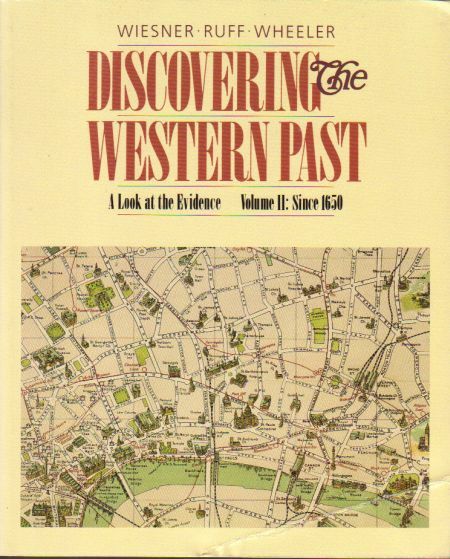 Description: This successful Western history version of the popular Discovering series provides a broad range of both visual and written sources. The unique pedagogical framework includes The Problem, Sources and Method, The Evidence, Questions to Consider, and Epilogue and Evaluation sections in each chapter. This structure promotes critical thinking, sharpens analytical skills, and builds student interest in the subject matter. The text emphasizes historical study as interpretation rather than memorization of data, with actual documents and artifacts from which students develop answers to historical questions. 1989 Paperback. Front Cover is creased. Insides are clean and unmarked. Binding is sound and tight.